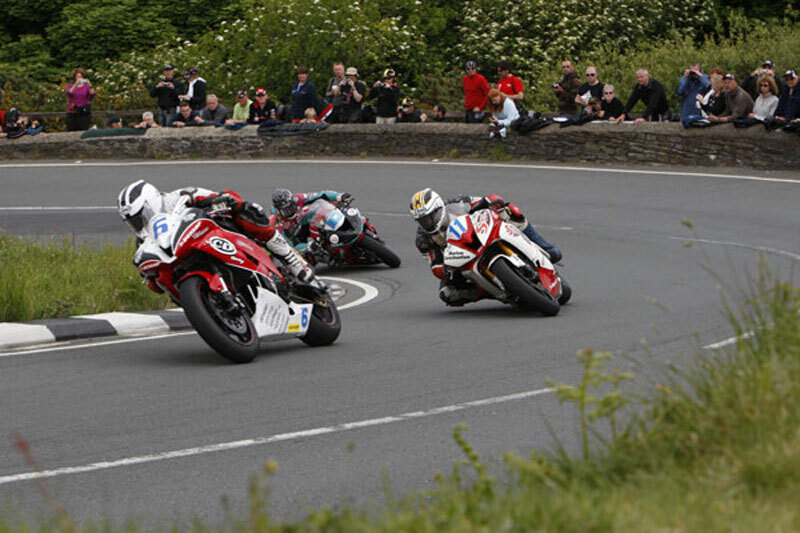 This stunning image shows three of the ‘Young Guns’ tackling the legendary Mountain course during the 2009 Isle of Man TT. William Dunlop, son of the late Robert and nephew of the late Joey, leads brother Michael and flying Manxman Conor Cummins through the Gooseneck during an action-packed Supersport confrontation. Michael would go on to return the Dunlop name to top step of the podium during TT 2009, winning the second Supersport race in dominant style. It was a popular and emotionally-charged victory. While a celebration of the event’s past – with the Dunlop name back at centre stage – the youngster’s victory showed there is a new generation of racing heroes coming through who will ensure the future of road racing.